The root-soil interface known as rhizosphere is a dynamic environment which is physically, chemically and biologically different from the bulk of soil populations, a microcosm where microorganisms, plant roots and soil constituents interact and develop. 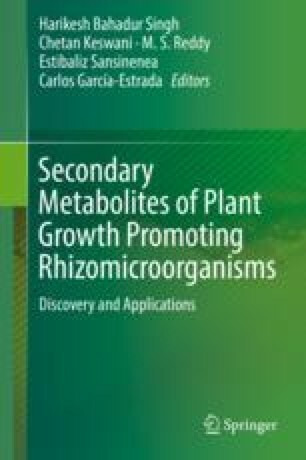 The rhizosphere therefore is the zone of influence of plant roots on the associated microbiota and soil components characterized by an altered microbial diversity with increased activity and number of microorganisms. Over 90% of plant species/roots are colonized by mycorrhizal fungi but also by various clades of endophytic fungi. Although many of these fungi are regarded as commensalistic symbionts and the function of the root-associated fungi is not exactly known, recent studies have shown that they can benefit their hosts by mineralizing soil nutrients in the rhizosphere or protecting hosts from soil pathogens. Besides the sharing root with associated fungi could facilitate the coexistence of plant species, studies clarify how diverse clades of root-associated fungi shared within a plant community are essential to plant community dynamics and stability. Although arbuscular mycorrhizal fungi are one of the most important components of the soil ecosystem, the roots are also colonized by diverse non-mycorrhizal fungal species which are represented in much greater numbers than mycorrhizal fungi. They are mostly found without causing any symptoms of disease. They may promote the growth of plants such as orchids by mobilizing soil nutrients in the rhizosphere. Influence on amounts or changes of secondary metabolites was also indicated. In general they are thought to be a resource for bioactive compounds that protect the host from soil pathogens.